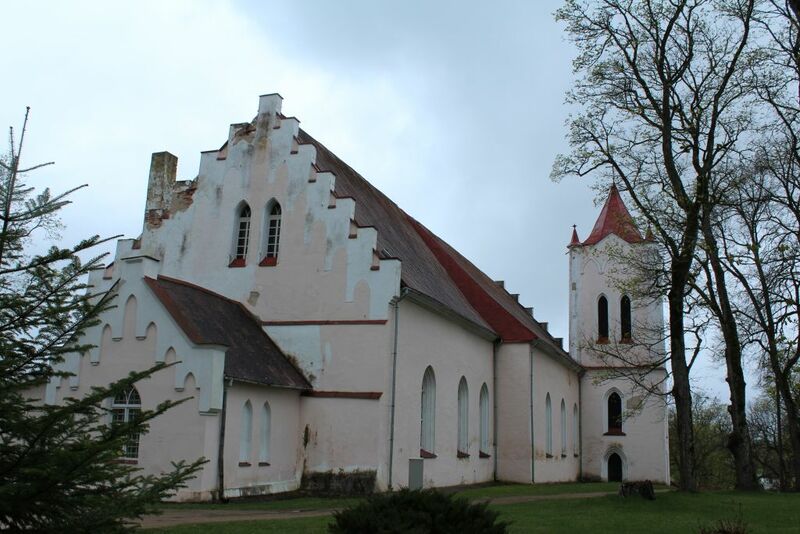 The Saint John evangelic Lutheran church in Aizpute is one of the oldest churches in Courland, historical region of Latvia. 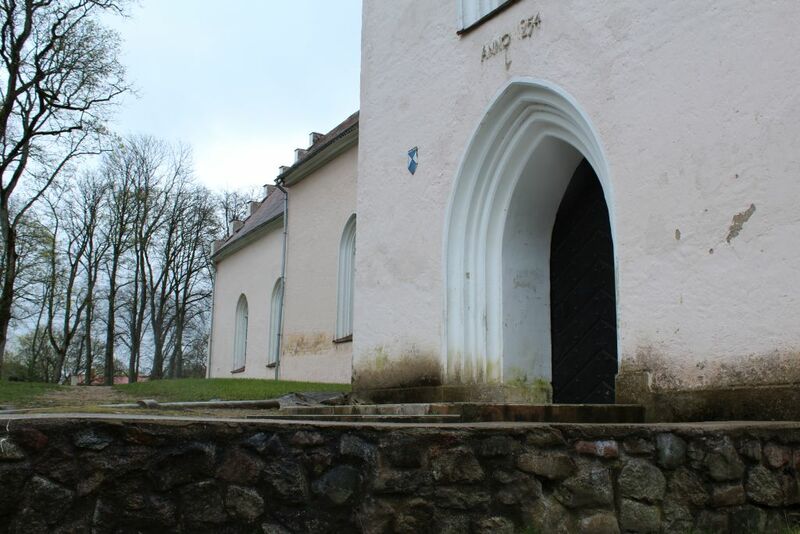 On a rainy day I took my DSLR camera and headed to Aizpute Church mound to photograph this ancient site. 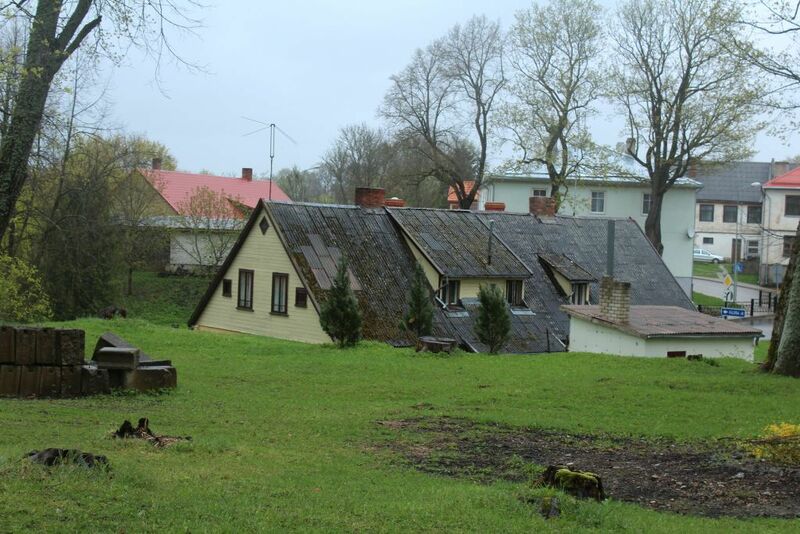 Latter I was surprised to learn that on this place, prior a church were built was an ancient Curonian castle. 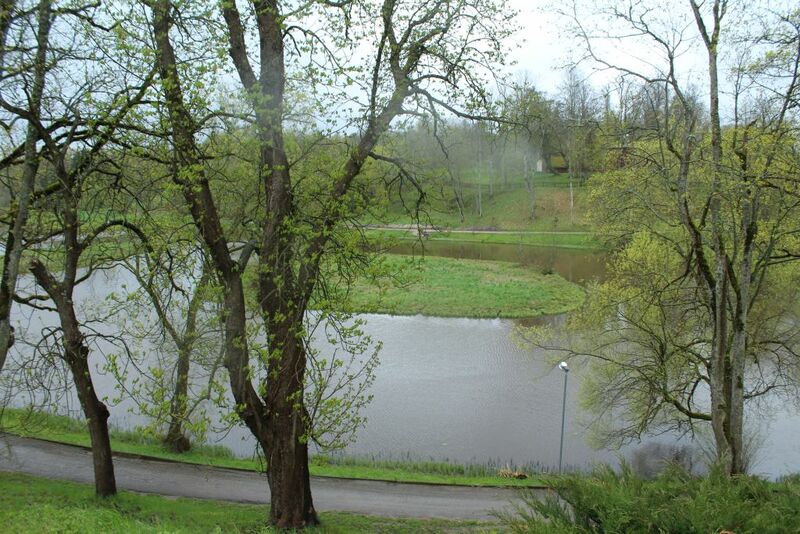 According to chronic's, prior to church building here, there was and Curonian fortress. The only one decent photo of Aizpute Saint John's church I managed to capture from this mound. To get a more interesting photos you should photograph this place from opposite located Livonian Castle and have some good glass (lenses). Well I will leave it for next time. On the opposite side of Aizpute castle ruins, on the right side of the river Tebra is the 16 meters high Curonian castle mount (now church mount). 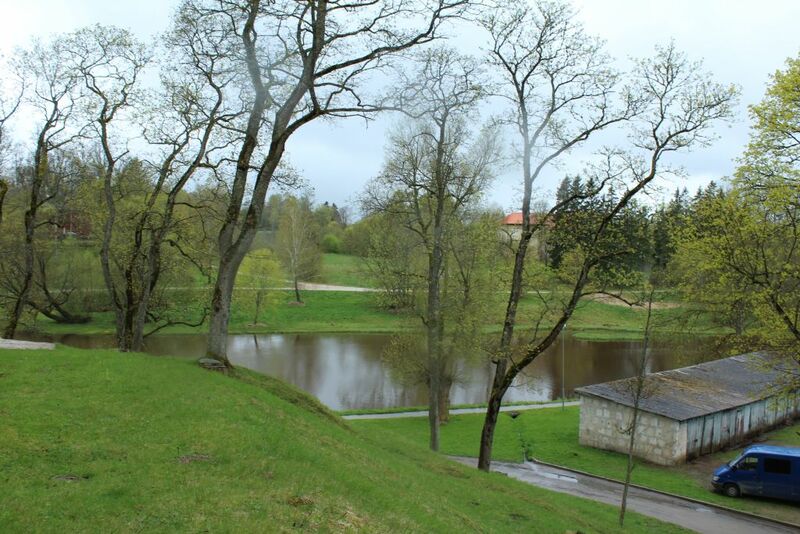 In the year 1254, in the place where German crusaders robbed and ruined the ancient Curonian castle, a castle was built. The Saint John evangelic Lutheran church has been renovated and rebuilt and today it is one of the oldest churches in Courland. Up until 16th century Catholicism was preached, but after that it was given to the evangelic Lutheran congregation. 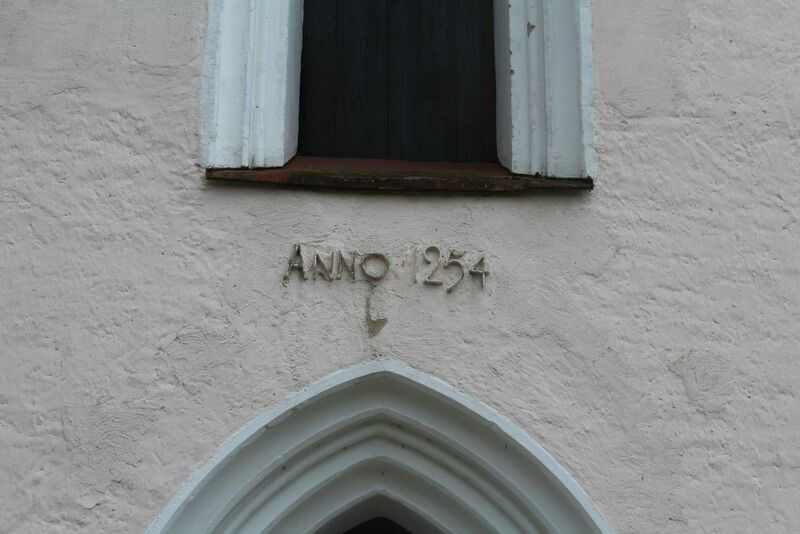 In 1571 the first Lutheran priest Johanim Reming, who worked here for 43 years. The church has been rebuilt many times – the tower was built in 1730, the altar in the late 19th century, but it got it’s nowadays look in 1860. The bell of the church is also very noteworthy, which 400 years ago (in 1589) after re-casting started to ring again. There is an organ built by the famous German company “Sauer” in 1904, also there are paintings like “Kristus Ģetzemanes dārzā” (Christ in the garden of Gethsemane)(J.I. Egniks, 1833) and “Krustā sistais”(The one nailed to the cross)(J.F. Vāgners, 1864) and to the right from the altar you can see the gravestone of the bishop of Courland H.Bazedovs. Aizpute Saint John Lutheric church is one of the oldest churches in Courland, it is a national architectural monument and it is included in the European cultural heritage list.